This jungle jumper will get your little one moving. The cushioned seat spins 360° that allow your little one to explore toys around. 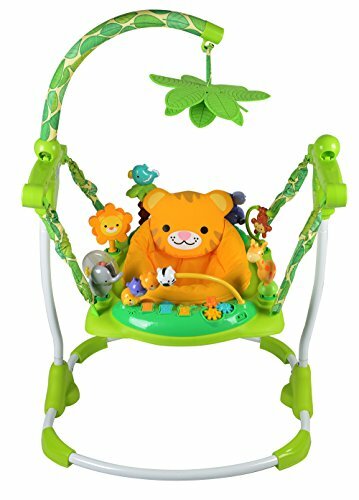 With over 10 activities including lots toys, lights and music, the Creative Baby Safari Jumper will keep your little one busy. If you have any questions about this product by Creative Baby, contact us by completing and submitting the form below. If you are looking for a specif part number, please include it with your message.